The mid-size MultiChron Officer is one of the rarest of all vintage wrist chronographs. 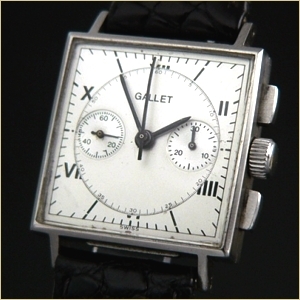 Gallet company archives refer to this model as a dress watch for military officers, only available by special order with less than 100 examples ever issued. 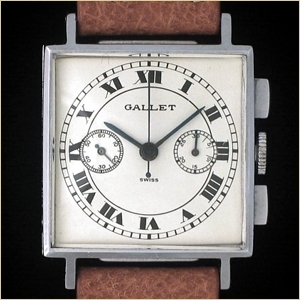 Powered by the extremely rare 10 ligne Valjoux calibre 69 movement, only 3964 of these high quality mechanisms were ever made as compared to the 261,588 of the larger calibre 72 produced during the same period.